These 5 litre party kegs are an affordable alternative to professional beer kegs that require a gas cylinder, pressure regulator, hose pipes, fittings and a beer font. Please make sure you read the manual before using these kegs, which contains important safety information. Three 16gr. 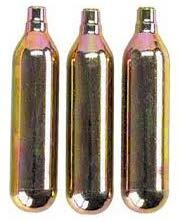 CO2 cartridges to pressurize your Party Star tapping system. 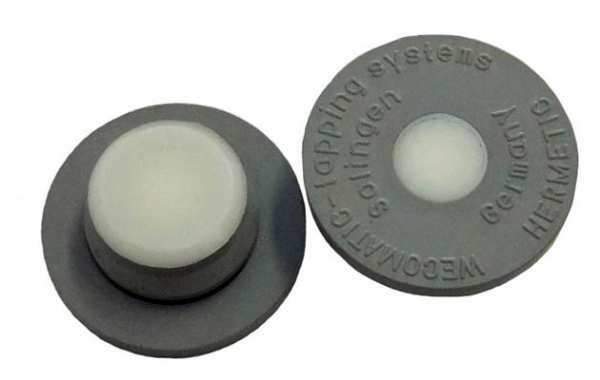 This grey rubber bung is reusable, and can be used in combination with the keg's integrated tap or with the Party Star pressurised tapping device. 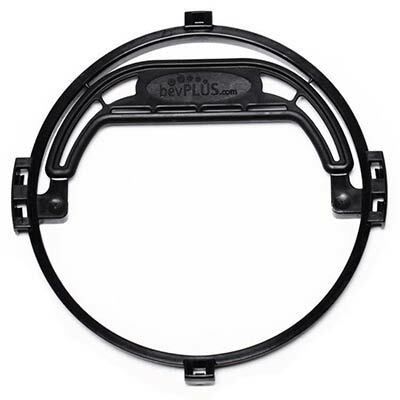 The keg is opened by pushing the plastic insert into the keg. This means that, once opened, the keg can't be closed. 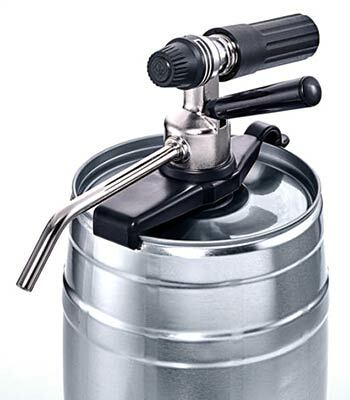 Once the keg is empty the bung and insert can be removed without tools and reused. 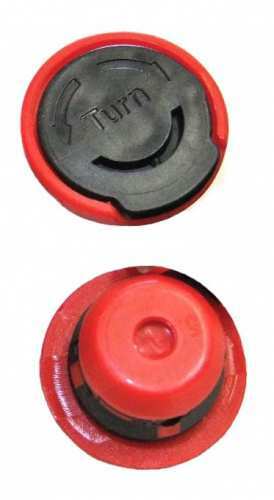 This red plastic bung is a single-use bung that can either be used as an air inlet for kegs with an integrated tap (in which case it can be closed again after use) or with the Party Star pressurized tapping device (in which case it acts as a seal that is broken when the tapping device is inserted). 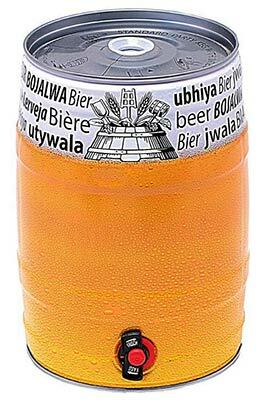 The bung can be removed from the keg using pliers and/or a screwdriver, but not without damaging the bung. This carrying handle clips on top of the 5 litre party keg (surprisingly firmly!) and makes it easier to carry full kegs. 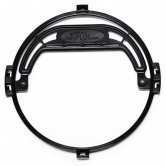 They are compatible with the Party Star pressurized tapping device, i.e. they don't have to be removed in order to fit the tapping device. This 5 litre party keg with integrated tap can be used to serve real ales (from an unpressurised keg) or keg conditioned beer. The keg is supplied with a dust plug; the necessary red plastic bung (which can be re-closed but is single use) or grey rubber bung (which is reusable but can't be closed once opened) is not included. 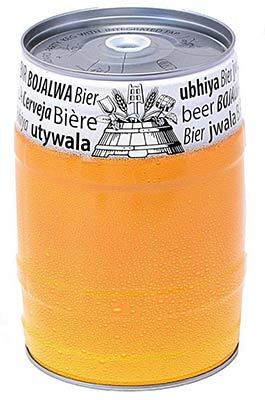 This party keg can be used to serve beer in combination with the Party Star pressurized dispensing system. The keg is supplied with a dust plug; the necessary red plastic bung (single use) or grey rubber bung (reusable) is not included.